Prestige Casino Party is rated The Best Choice for a Casino Party or Poker Tournament in and around Sacramento and the Northern California Region! We have earned our reputation by providing the most authentic Casino experience in the Industry! We offer unparalleled customer service, casino grade equipment, along with the best dealers in the industry who will not only entertain your guests but will share how to play any game your guests may not be familiar with! By setting these standards we have built an Amazing Casino Company and hope to earn your Business! If this is your first time having A Casino Event, Party or Fundraiser we will make sure we guide you every step of the way! From our first conversation up to the day of your event,our customer service department will walk you through every detail to ensure your event is perfect! If you are hosting a Corporate Event, Holiday Party, or throwing a Private Party for that someone special we include Custom Play Money with your Company’s Logo or The Guest of Honor’s picture to make sure your event is personable and your guests have a keepsake of the night! At Prestige Casino Party we offer peace of mind , providing you with beautiful equipment and highly trained,friendly dealers who come dressed in black tie attire! Our dealers are eager to share their knowledge with any guest that might need some instruction. Your Casino Event will be remembered for years to come! We bring the excitement of Las Vegas to you! 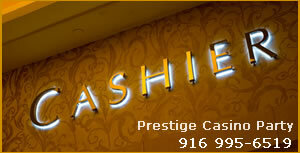 Prestige Casino Party of Sacramento performs many types of Casino Events! We specialize in, House Parties,Holiday Parties, Corporate Parties,Grad Nights, Poker Tournaments,Fundraisers and Team Building events! If you are wanting to host an event with just a few tables or have an event planned for 500 guests or more we welcome the opportunity to earn your Business! We promise to do an Amazing Job all while exceeding your expectations! 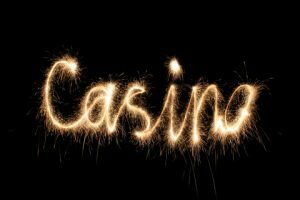 Our Casino Party services include Delivery (some distance restrictions may apply), Setup, Breakdown, Funny Money, Raffle Tickets, Chips and all equipment required to play the games. For larger parties & events (typically 10 tables or more) a “Pit Boss” will be required for your Event , large Poker Tournaments will require a Tournament Director, Chairs for the Poker Tables and stools for the blackjack tables are typically not provided. If you would like to request these items, please specify on your quote request. Prestige Casino Party of Sacramento is your Best Bet for…. Give us a call at 916.995.6519 for a detailed quote or to book your Casino Home Party, Corporate Event or Fundraiser today! We serve Sacramento and all the surrounding Cities including Napa, Berkeley and San Francisco!